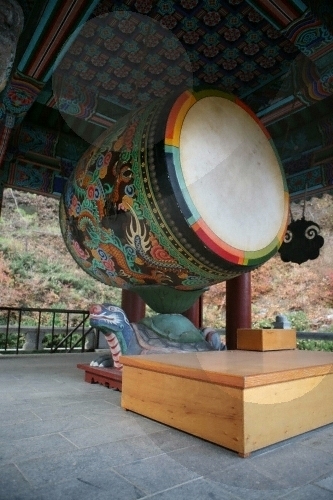 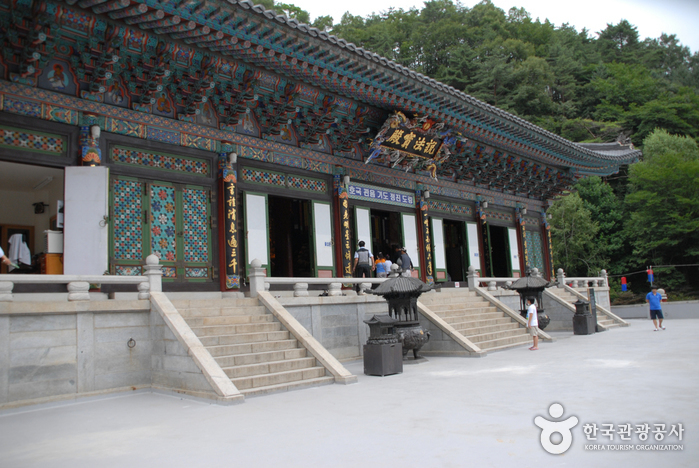 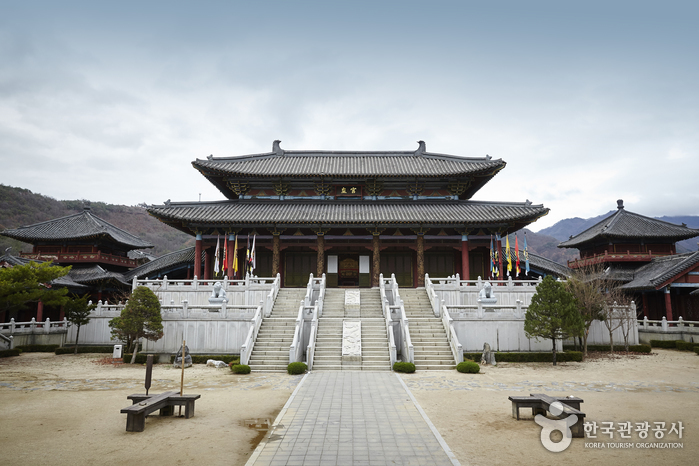 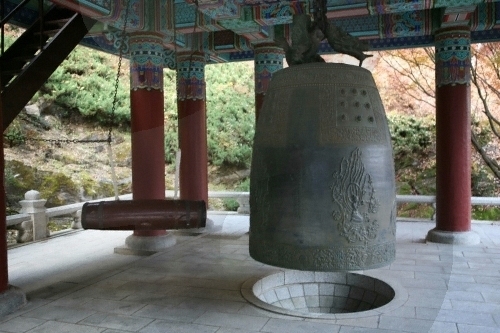 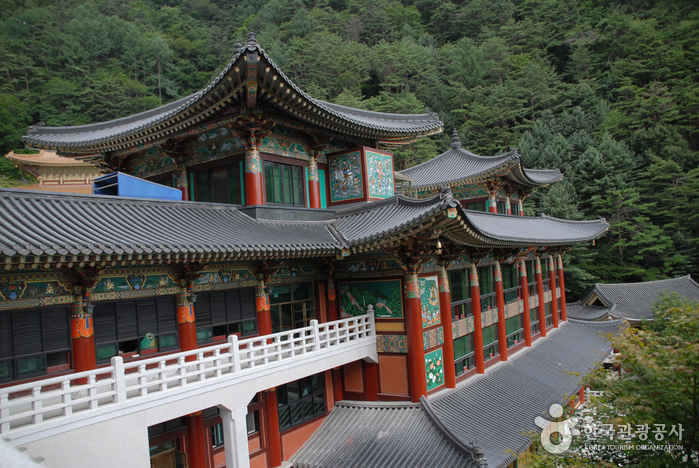 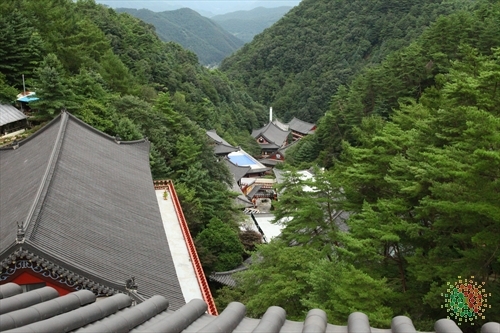 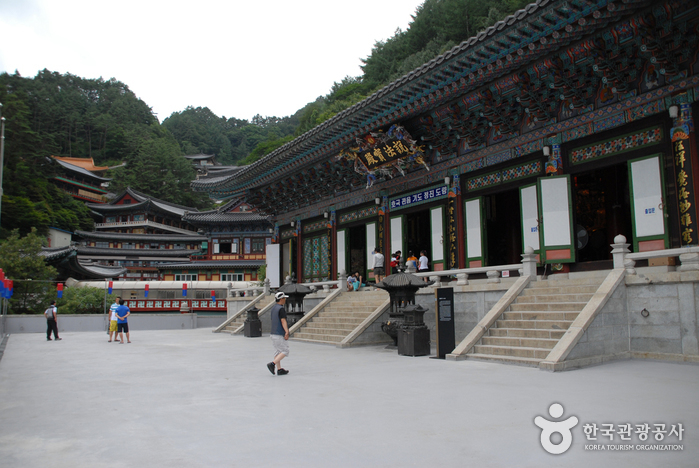 Guinsa Temple, located below Yeonhwabong Peak of Sobaeksan Mountain, is the headquarters of the Cheontae Order of Korean Buddhism and now presides over 140 temples across the nation. 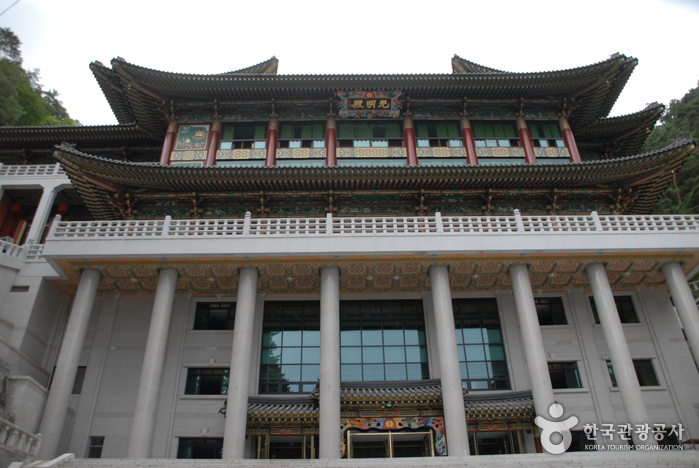 Standing on a lot measuring a total of 15,014 square meters, the temple has an impressive, 5-story main sanctuary as well as over 50 chambers and is bordered by modern buildings that can accommodate up to 10,000 visitors. 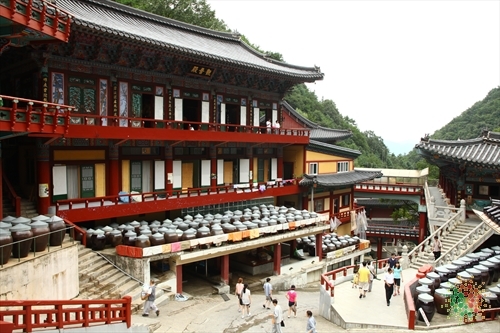 The temple was established by Monk Sangwol Wongak, who first created a small cottage of arrowroot vine at the site as a place to practice asceticism. 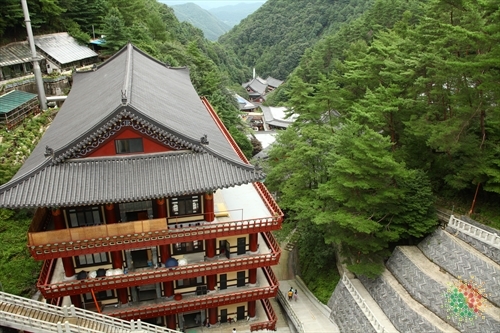 After receiving revelation about the truths of the universe, the monk created Guinsa Temple in the spirit of celebration. 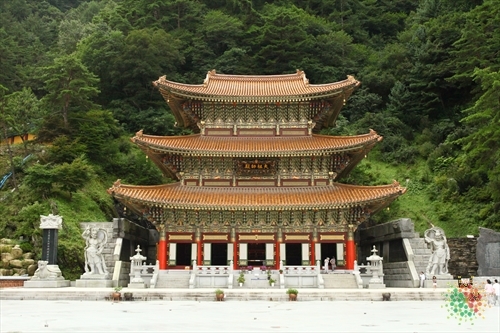 Completed in 1945, the temple was renovated in 1966 using a concrete frame, which was a very unique and modern construction practice at the time. 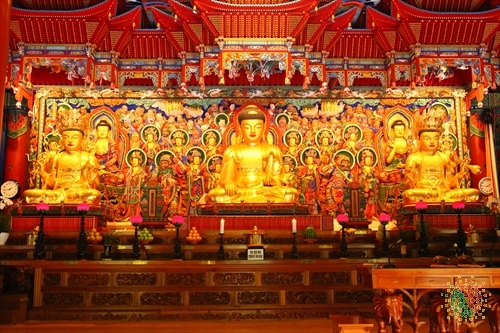 Must-see parts of the temple include Deabeopdang Hall (the main sanctuary) and Beopeobi Monument (a Buddhist sermon monument). 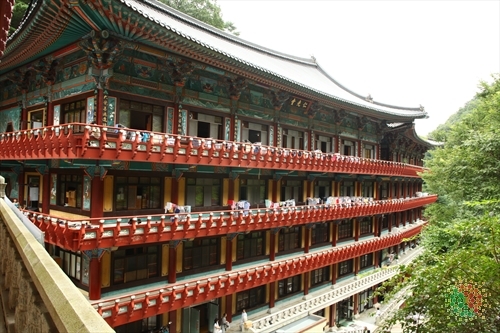 The 5-story Daebeopdang Hall (est. 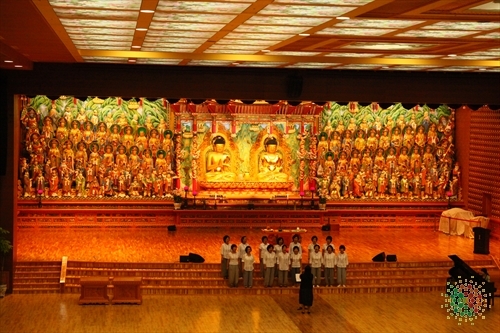 April 29, 1980) is the largest Buddhist sanctuary in the nation and can seat up to 5,000 people. 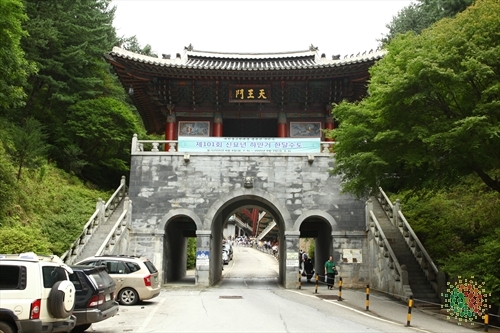 Beopeobi (full name: Beopeobi of Great Monk Sangwol) is a stone monument engraved with the teachings of the Great Monk Sangwol. 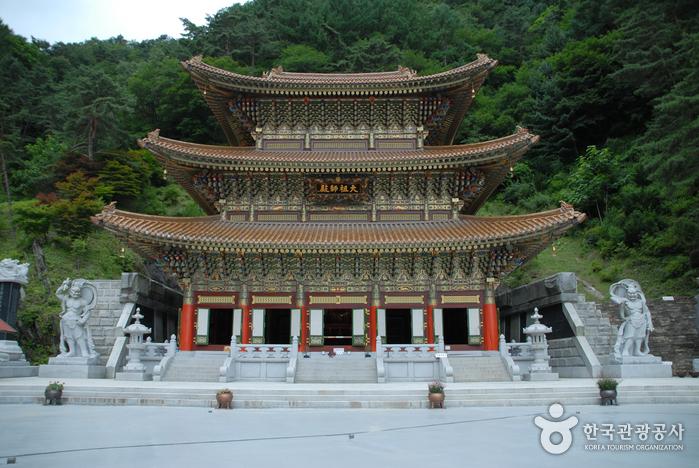 The writings on the monument reflect the beliefs of the Tripitaka Koreana, one of the foundational texts of Buddhism. 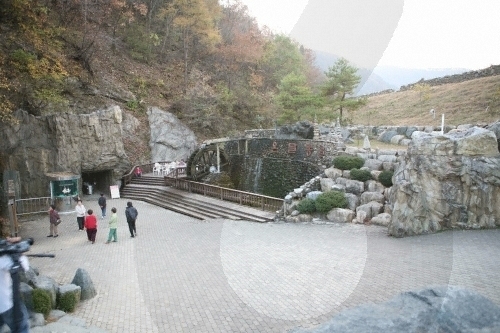 * Please refer to home page for more details. 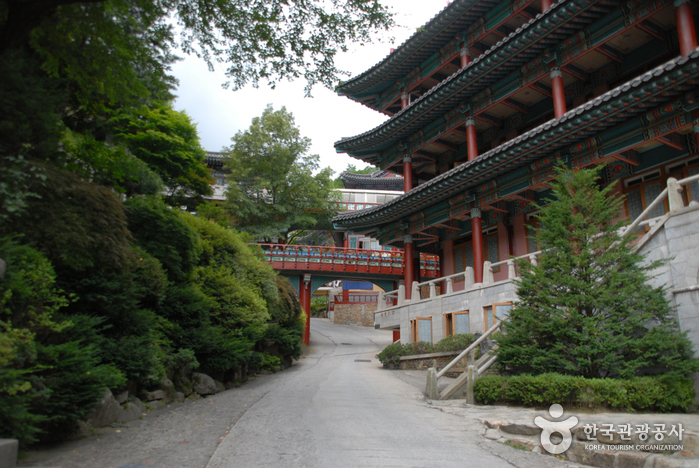 From Dong Seoul Bus Terminal, take an intercity bus to Guinsa Temple. 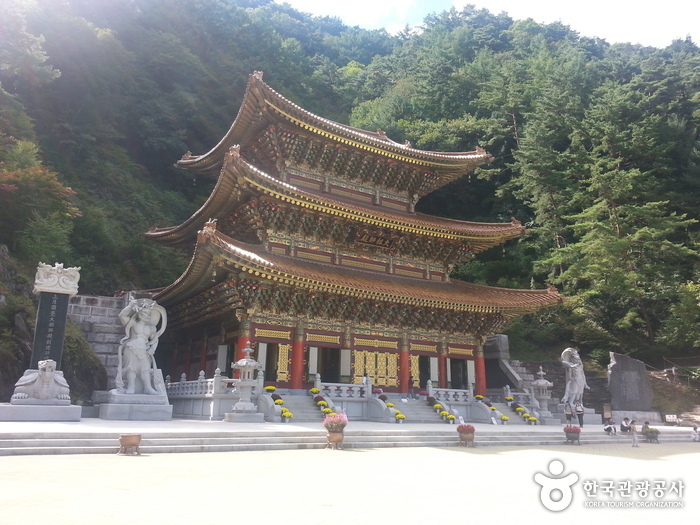 From Dannyang Bus Terminal, take an intercity bus to Guinsa Temple. 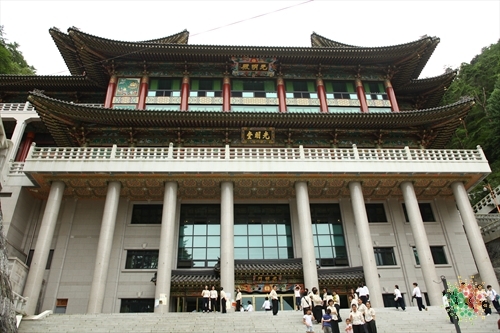 * Bus schedules are subject to change.